Karnov must travel through 9 different levels. He must walk, jump and shoot his way through these levels and find special items that will help him on his way. He can collect red orbs in which he can upgrade up to 3 fireballs at a time. 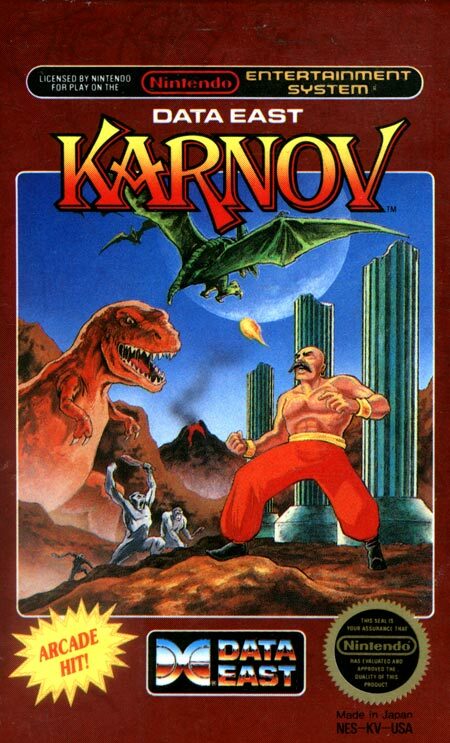 Each level contains a variety of strange enemies, such as gargoyles, rock creatures, and strong men, which Karnov must destroy or avoid. When he reaches the end of a level he usually has to face one or more powerful enemies which he must defeat to beat the level and receive a new piece of a treasure map. At the end of the game he must face a powerful boss often called "The Wizard" and collect the treasure.